The Cryptonet team welcomes you. If you are in search of a reliable partner for joint investment in proven sources, then you are just in such a place. Our organization takes an active part in the financial market, trading all the currently known types of crypto currency. Also, in the aggregate of our activities is also Bitkoyne's mining. Having foreseen the potential of this currency in due time, we started building our data centers in time, which for the time being bring us the largest part of the income. An experienced team of professionals along with high-tech equipment and a unique business strategy guarantee high profitability with minimal risks. Our main goal is to maximize the performance of our farms and trading operations in the foreign exchange market. With investment support, we will be able not only to expand our borders, but also increase our returns. Our team is constantly working, looking for more and more modern methods of trading and mining. Continuous market analysis and steady improvement. We have made tremendous progress for all the time that we work in this field. Now we are giving you the opportunity to achieve everything you want. For this, you do not need any special knowledge, for this you have We. We need only support that will give the necessary incentive, and will allow you to pay stable income throughout the entire time. Deposit body: return of the body at the end of the term. The amount of 1.32 USD has been deposited to your account. Accounts: U16928178->U1651590. Memo: API Payment. 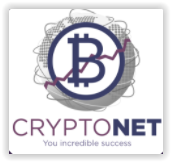 CryptoNet.. Date: 20:03 18.10.17. Batch: 191769350. The amount of 1.32 USD has been deposited to your account. Accounts: U16928178->U1651590. Memo: API Payment. CryptoNet.. Date: 07:37 23.10.17. Batch: 192198641. The amount of 1.76 USD has been deposited to your account. Accounts: U16928178->U1651590. Memo: API Payment. CryptoNet.. Date: 18:58 25.10.17. Batch: 192499065. The amount of 1.32 USD has been deposited to your account. Accounts: U16928178->U1651590. Memo: API Payment. CryptoNet.. Date: 11:00 30.10.17. Batch: 192979813.